Bawean Island is an archipelago that includes the region of Gresik and is located in the northern area of ​​the city of Gresik, East Java. Bawean island is 80 miles or 120 km from the town of Gresik and takes 3 hours if taken by speed boat or 8 hours when taken using ordinary ship. Geographically Bawean island located between 112 45 'east longitude and 5 South 45'Lintang. The total area of 196.27 km. 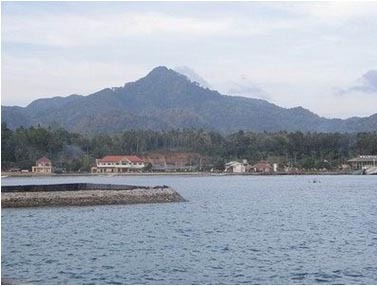 Bawean Islands consist of 2 district, the district and subdistrict Sangkapura Pond. Sub Sankapura has 118.72 km wide, with the number of Village 17, which Rice Mulya Village, Village Sengai bay, Village Patar Congratulations, Stone Village, Desa Bulu naked, Valley Village, Village West Pudakit, Pudakit Village East, Village Kumalasa, Suwari Village, Village Near Great, Kesuma City Village, Garden Village Teluk Dalam, and the Leaf Village. While the District has a large pond 77.55 km, with the number of Village 13, the Village Pond, Diponggo Village, Village Legundi billowing, billowing Bay Village, Desa Pekalongan, Klompang Hut Village, Village Paromaan, Gelam Village, Bay Village Teak, Sokaoneng Village, Village Sekalela , Gerejeg Village, Cape Village and Ori. Overall Bawean Island has panorawa tour with variety of flora and fauna of different types and colors as well as marine parks menghiasa charm of this island scenery.